Iscar Nederland B.V. is a supplier of high end cutting tools for the metalworking industry. Being part of the global IMC Metalworking Companies group, the vast experience in all types of industry ensures the availability of the latest developments, be it in material-, coating or manufacturing technology. Iscar believes that only state-of-the-art technology can help its customers to achieve the demanding requirements of the end-user. For this reason only, Iscar spends 4% of its revenues on R&D. With an extensive experience in high-tech industry in the Netherlands, Iscar has developed many different types of cutting tools, that are specifically suit to do the job of producing very accurate (small) parts in difficult to machine materials. 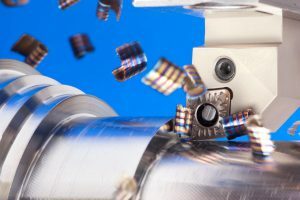 Specific requirements for the production of high tech components are quality of the cutting tools, reliability and repeatability. Iscar is proud to supply all the main component suppliers of ASML with its cutting tools. Milling is a production technology in which the cutting tool is turning around and the workpiece is fixed. Each material requires its own type of mill. 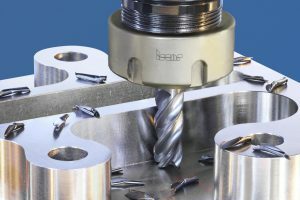 Iscar has a vast catalogue of milling tools. For each application there is a possible solution. Iscar is known for its experience in solid carbide end-mills, which are used for the production of high-tech, small size components. Turning is a production technology in which the workpiece is rotating and the cutting tools is fixed. In most case the workpiece material consists of round material. Like with milling, each type of material requires a different type of turning-tool. The geometry and the base material vary. Iscar has an extensive line of turning tools available. Most of the tools are available with high pressure coolant, which enables more accurate machining with higher productivity.